Models have always played an important role in information systems (IS) design: typically, entity–relationship diagrams or object models have been used to describe data structures and the relationships between them. Model transformation and code generation technologies have given models an even more important role: as part of the source code for the system. This “model-driven” approach, however, has application beyond initial implementation. 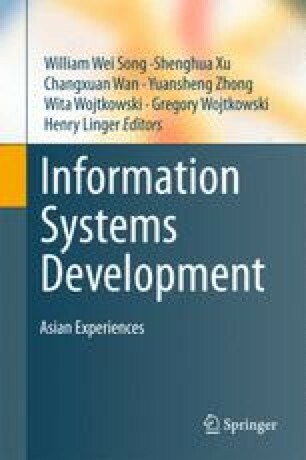 This chapter shows how subsequent changes to a design, captured as an “evolution model”, can be used to generate the data transformations required for the migration of data between different versions of the same system. The intention is to facilitate the adaptation of systems to changing requirements, using model-driven technologies for the rapid development of new versions, by reducing the cost and increasing the reliability of each migration step. Object Management Group (OMG). Unified Modeling Language (UML) Infrastructure, Version 2.2. http://www.omg.org/docs/formal/09-02-04.pdf. Accessed May 2009. Object Management Group (OMG). OCL 2.0 Specifications, version 2. http://www.omg.org/docs/ptc/05-06-06.pdf. Accessed May 2009. T. Friedman, M. Beyer and A. Bitterer. Magic Quadrant for Data Integration Tools. Gartner Research. http://mediaproducts.gartner.com/reprints/sas/vol5/article4/article4.html. Accessed July 2009.